Home > News > News > “The AMT Band Plays ABBEY ROAD” – Final Weeks! 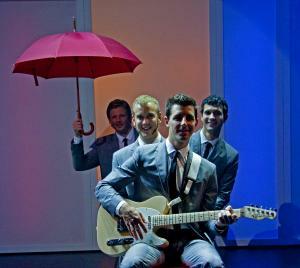 “The AMT Band Plays ABBEY ROAD” – Final Weeks! Our musical journey down ABBEY ROAD will soon come to an end. Make sure you experience this critically acclaimed Beatles tribute before our ROAD ends on October 9th! There are only a few shows remaining, so don’t delay! Seats are still available, so get your tickets today! Let’s “Come Together” to celebrate the music of The Fab Four as The AMT Band Plays ABBEY ROAD! Check out LIVE VIDEO shot on opening night!